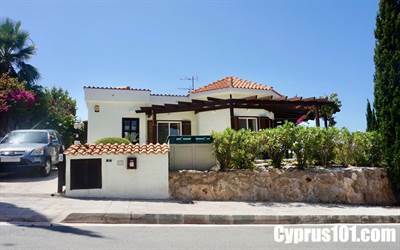 This well presented 3 bedroom, 2 bathroom detached bungalow for sale in Kamares is situated in a quiet residential street of the exclusive award winning resort of Kamares. ​Nearby this Bungalow for sale in Kamares is the popular Kamares Clubhouse with restaurant facilities, swimming pool, tennis courts and adjacent Medical Centre. Paphos Town and the International School of Paphos are a 10 minute drive away.